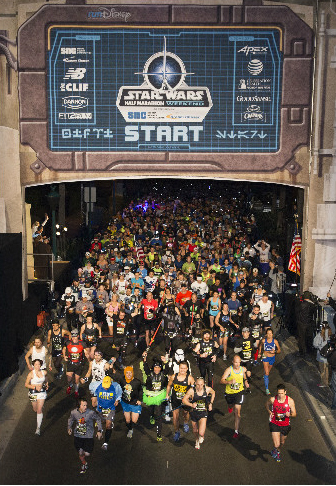 The new race follows the debut of the popular Star Wars-themed race at Disneyland® Resort, which will return in January as the “Star Wars Half Marathon – the Light Side”. Guests who dare to experience both Star Wars races will have the chance to take on the Kessel Run Challenge — completing theStar Wars half marathon missions on both coasts. Kessel Run Challenge runners can earn a commemorative “Coast to Coast” medal inspired by the Millennium Falcon starship. 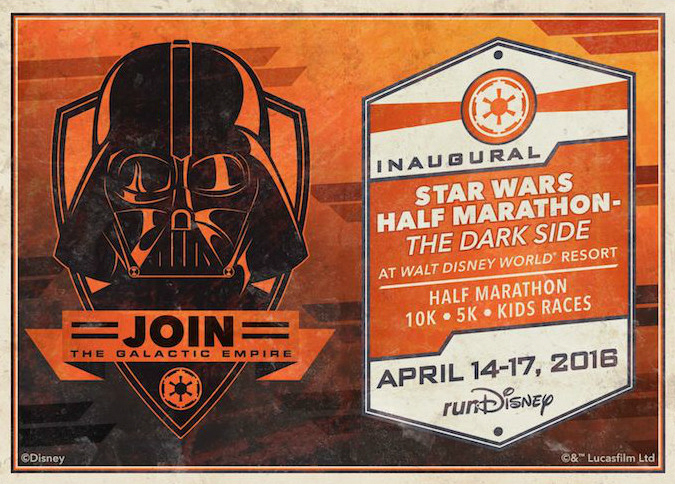 Registration for “Star Wars Half Marathon – the Dark Side” opens Sept. 22, 2015 at noon ET. All of this Star Wars news for Disney World has be totally freaking out. No doubt that reservations for the Disney Resort packages will fill quickly during this event. We can book your Disney World package now and you can register for the Star Wars Marathon when it opens on 9/22/15. Be sure to register for the marathon as soon as it opens, these marathon registrations fill up quickly.